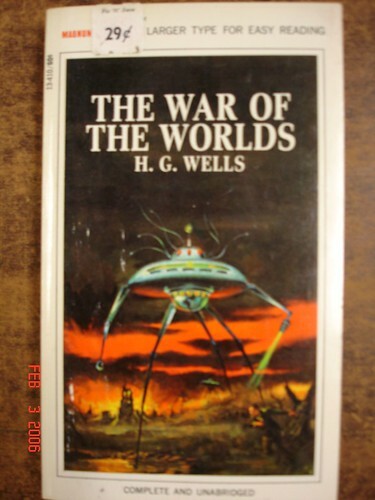 Believe it or not, Orson Welles' radio adoption of H G Wells' epic science fiction novel "War of the Worlds" had once caused a major panic in New Jersey and surrounding areas. The radio drama was aired over the CBS on Halloween night - October 30, 1938 and caused widespread panic. The New York Times carried news about this, on its front page on Oct 31, 1938. Later it was estimated that about ".. six million heard the CBS broadcast; 1.7 million believed it to be true, and 1.2 million were 'genuinely frightened'". One of the main reason attributed to such a mass panic was that several listeners had tuned in late, missed the prelude and heard only a portion of the broadcast which was in made in breaking-news format. The atmosphere of tension and anxiety just prior to World War II made it look like a real news broadcast. Newspapers reported that panic ensued, people fleeing the area, others thinking they could smell poison gas or could see flashes of lightning in the distance. 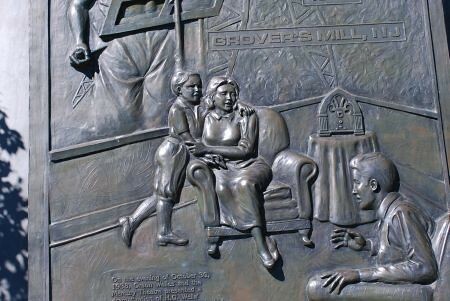 As per the radio broadcast, the imaginary landing had taken place at Van Nest Park, Grover's Mill, NJ. 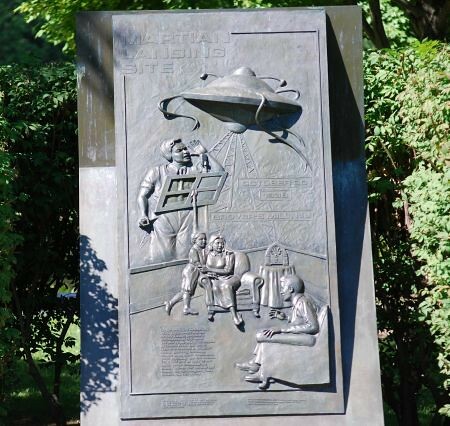 On the occasion of the 50th anniversary of the broadcast, a memorial was erected in the Nest Park to commemorate the story of the Martian landing. 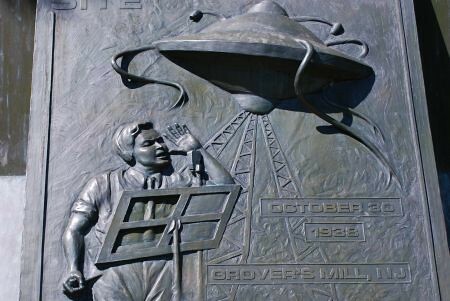 Although known as 'War of the Worlds Monument' many call it 'Monument To Panic.